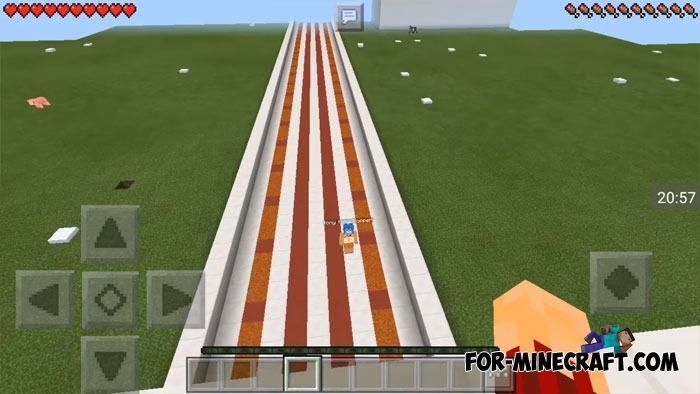 Olympic Games map is a place where you and your friends can test skills and compete with each other in Minecraft PE 1.0. You have the following sports: running, swimming, jumping to water, archery, horse riding and parkour. You can die in some places such as diving, so after death you will immediately lose. You spawn at the starting point, which describes the rules and awards. The map is designed for 4-5 players, one of which can act as a judge. Take some food out of the chest and run to the starting line with your friends. The rules for each sport discipline are near the entrance, all players should be familiar with the rules.